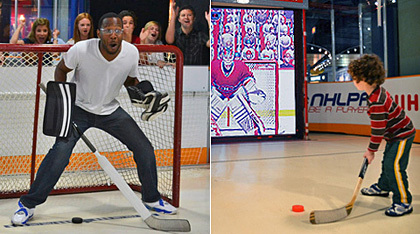 Try your hand at goaltending and shooting against life-size, animated versions of today's top players including Carey Price, Sidney Crosby and Alexander Ovechkin in the NHLPA Game Time model rink. Get behind the microphone and call the play-by-play of hockey's most famous moments or anchor your own SportsCentre in the TSN/RDS Broadcast Zone. Challenge friends and family in the EA Sports NHL15/PS4 Game Kiosks. Get up close and personal with the Stanley Cup on display in the spectacular Esso Great Hall. No visit is complete unless you've had your photo taken with hockey's Holy Grail! NEW! 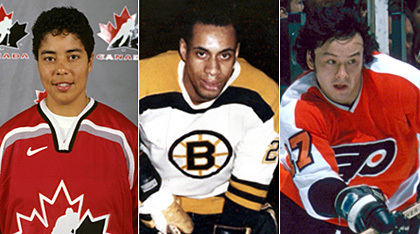 Be the first to take in our newest exhibit, The Changing Face of Hockey - Diversity in Our Game. Scheduled to open Friday, March 11, 2016, this exhibit will pay homage to the pioneers who confronted discrimination from the hockey world through their perseverance, talent, and courage. 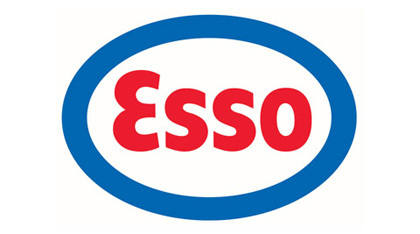 Each youth 13 & under visiting the Hockey Hall of Fame during March Break will receive a free Esso Gift Pack. Combine your visit to the Hockey Hall of Fame with a meal at Lone Star Texas Grill's new downtown Toronto location - 212 King Street West - a short walk from the Hockey Hall of Fame. 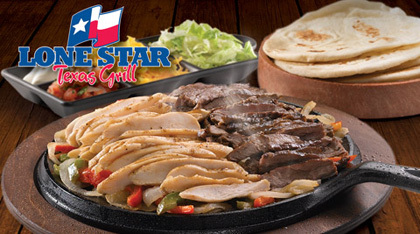 Each visiting child will receive a voucher for one FREE* KIDS' MEAL with the purchase of an adult entrée at Lone Star Texas Grill. *Restrictions apply. Kids 12 & under. Expires March 31, 2016. Make it a March Breakaway to Toronto! 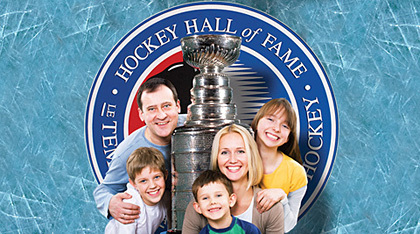 Hockey Hall of Fame Breakaway Packages include first class VIA Rail travel, Delta Toronto hotel accommodations, HHOF passes and the option to add tickets to a Maple Leafs home game. All this and more for an amazing low price! 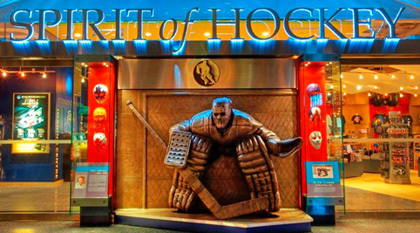 Pick up a keepsake of your visit in the Hockey Hall of Fame's Spirit of Hockey Gift Store featuring hundreds of hockey-related items including exclusive HHOF gear. All programs are included in the price of admission.